news, articles and events we've been involved in. We had the great opportunity to discuss third party accreditations, technology, projects and topics across the fire and security industry with the team at PSI Magazine last month, providing an insight into Mercury's history and vision moving forwards. October is now upon us and it is great to see our article featured within both the print and digital version of PSI Magazine - to find out more, click below to visit the article on PSI Magazine's website. 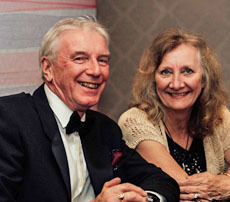 Our directors Ashley and Linda attented an anniversary ball to celebrate the 50th year of Autism East Midlands whom we have been working with for over 20 years. 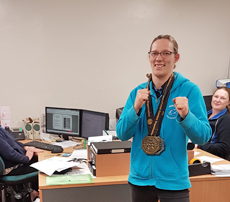 Recently one of our team members, Jennifer, won a Gold medal and 2 silver medals at the World Championships for Kickboxing in Rome. 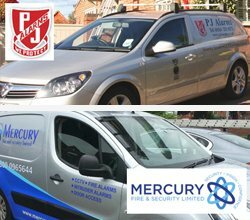 We at Mercury Security have spent many years helping the local community be a safer more secure place to live. One our most experience team had a privilege to give a talk at The Spirit of Sherwood & Carrington Awards about a number of CCTV systems we installed in the local high street. 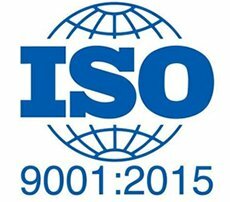 As a team that provides a range of highly trusted fire and security solutions we have recently been accredited with ISO 9001:2015. 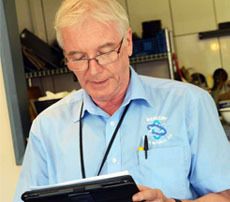 This accreditation ensures that we meet the specific requirements for quality management systems. "Mercury Fire & Security Limited are sad to lose another local company to ADT. After more than 25 years in the industry, the owners of PJ Alarms have announced their retirement. They have designed, installed and maintained a great number of fire and security systems across the Leicester area for a range of different clients." It seems that 4K CCTV cameras are appearing on the market. It might appear that when our customers are just starting to enjoy the benefits of 1.3MP and 3MP cameras, that this is just another upgrade cost. But there's no reason to see it that way. As these cameras will be built on IP technology, what this really means is there is now a still greater range of cameras we can offer our customers. The challenge now is working with them to pick the resolution that best suits the scene they are trying to capture. Large areas like car parks stand to benefit greatly from the emergence of 4K CCTV. The video to the right shows the sort of improvement that could be expected. Also, as the video this image was taken from shows, you can see that the angle of view has also improved. In this scene, a good few extra yards of car park space are being covered by the same one camera. We look forward to installing this new technology for our customers in the near future! We're delighted to see the ONVIF initiative is taking off. As CCTV installers, we're keen to see open standards developed and interoperability fostered. The specification aims to ensure that the new generation of IP (Internet Protocol) based CCTV equipment is flexible. This means for our customers they can take say, a Siemens camera and connect it to a recorder (DVR) from a completely different manufacturer, much as they would have been able to with traditional analogue equipment. This means we can bring you the best equipment to suit your needs, without limiting you to one manufacturer. Have you heard of BS EN-54-23:2010? It is new standards for visual alarm devices. 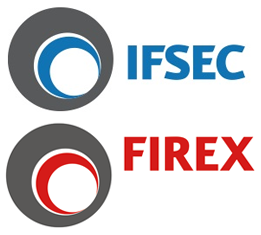 Mercury Fire and Security this week attended the IFSEC and FIREX 2013. We're committed to keeping abreast of the latest developments in fire and security, in order to bring the best new technologies and the best prices to our customers.